It was around this time last year that I had first tried the Sunday Brunch at this beautiful resort in the hills of Palos Verdes. I had wanted to come back here sooner, but never did have a chance. 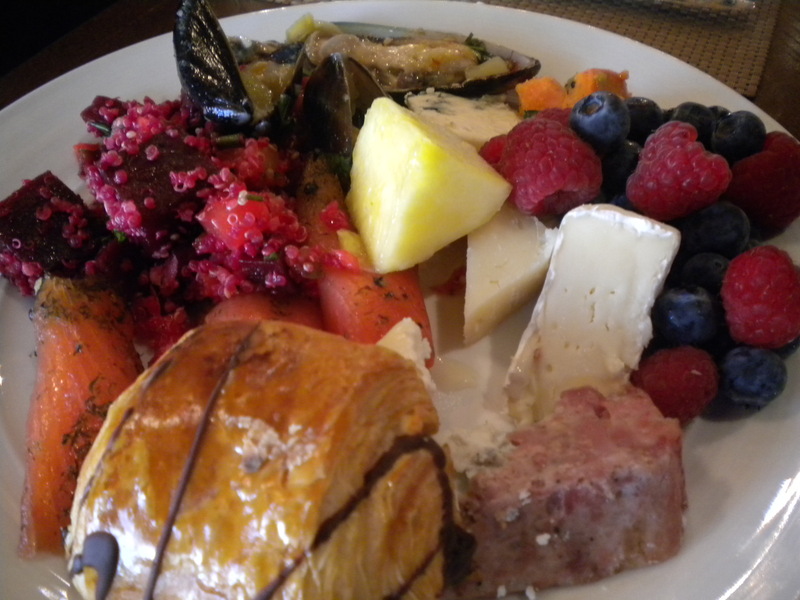 When I found out they were having a special New Year’s Day Brunch buffet, I was quite excited and thought it would be a great way to start the New Year. I thought people would be sleeping in and recovering from the New Year’s Eve partying, and the brunch would be a quiet one. Was I wrong, the place was already more than 1/2 full by the time I got there before 11am. There was a small line at the reception area. It was a good thing that I made reservations. We were seated next to the windows by the patio, and it was a gorgeous day. I waited a while for the server to come take my drink order, but no one came for quite a while. I got impatient and decided to grab a bus boy and told him that I wanted to order a grapefruit juice and a cappuccino. He looked a bit surprised and uncomfortable. He proceeded to tell me that the cappuccino machine was not working, and upon seeing how disappointed I must have looked, he said he should be able to find me a cappuccino from somewhere else. I said “fine”. 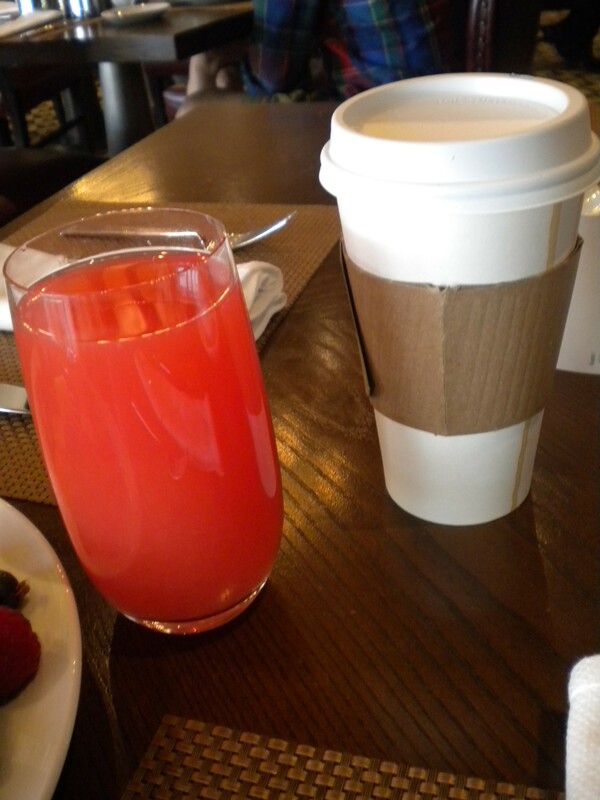 Meanwhile, I decided to check out all the sumptuous offerings, and by the time I got back, there was a glass of grapefruit juice and a to-go cup with a lid on the table. I opened the lid and realized that it was a foamy and delicious looking cappuccino that he must have gotten me from another restaurant inside the resort. I was so amazed at how quick thinking and resourceful he was, and how this was the perfect example of what good service meant. I was impressed. He walked by, and I thanked him sincerely and expressed my utmost appreciation for his extra effort. It was a great beginning to a most enjoyable and wonderful brunch. The food selection was similar to what I remembered from last year. 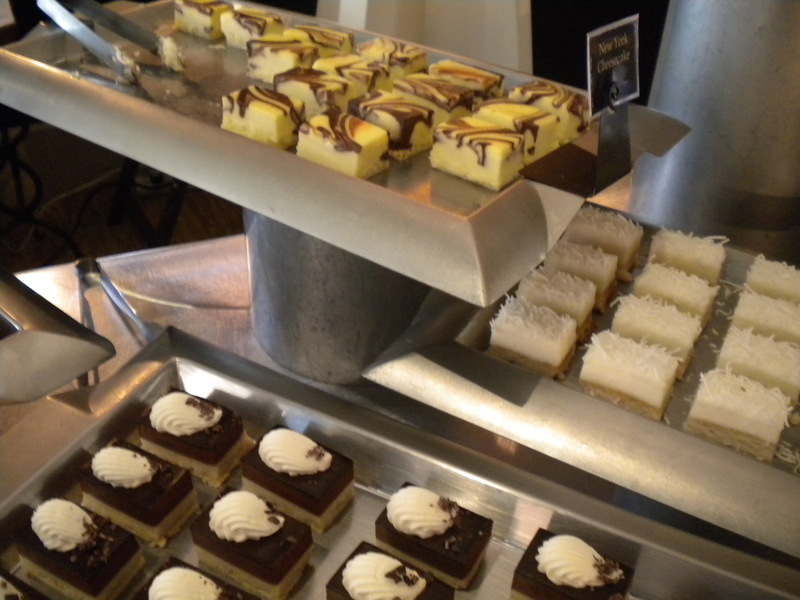 The cheese station looked even better with more varieties this time. The smoked salmon was moist, thick and delicious. I decided to try the cook-to-order omelet/egg station this year, and was I glad that I did. I ordered the an egg white omelet with asparagus, onions, spinach, green onions, mushroom and it was the best omelet – fluffy. tasty and incredibly light. The guacamole I put on top was not salty, fresh and absolutely fantastic. 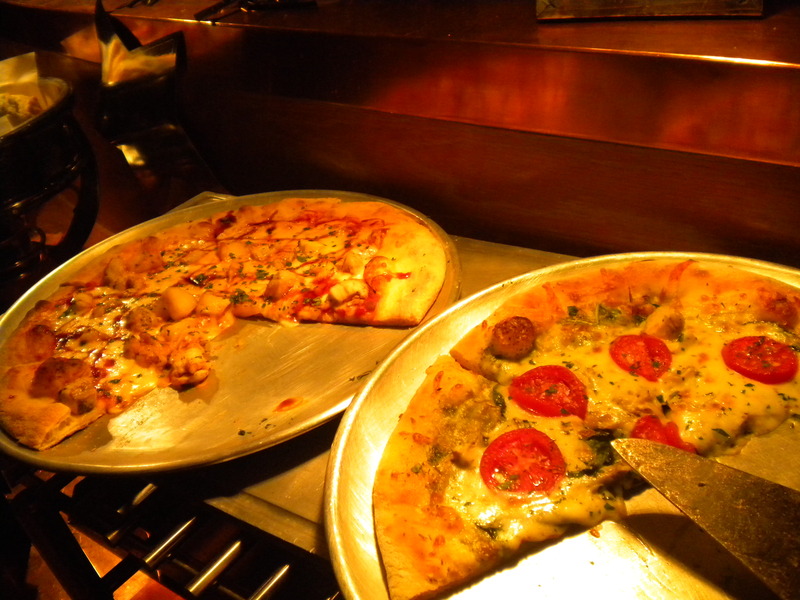 The pizza was extremely thin crusted and probably the best pizza I had ever had with the thick, melty, hot and chewy mozzarella cheese. I enjoyed all the fresh mussels and clams from the hot food station. The french toast was so good that I had three slices of them. 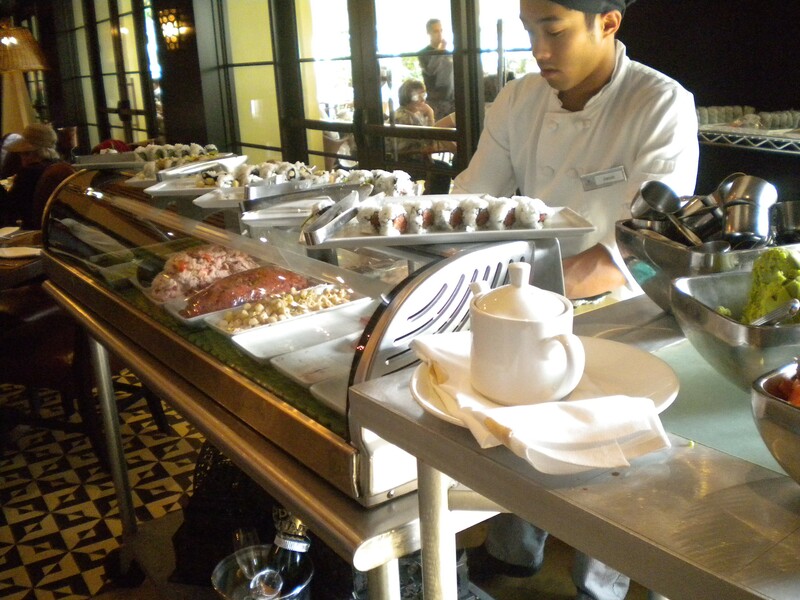 While the selections were not huge at the sushi/sashimi station, they were what I really liked. There was the lobster roll with large chunks of lobster inside – simple and wonderfully great. Being that I love asparagus, the vegetable roll was exactly what I wanted. I waited for the nice lady from the waffle station to make me a hot, fresh off the griddle waffle. It was worth it, crunchy, light, and so satisfying with the freshest whipped cream on top. 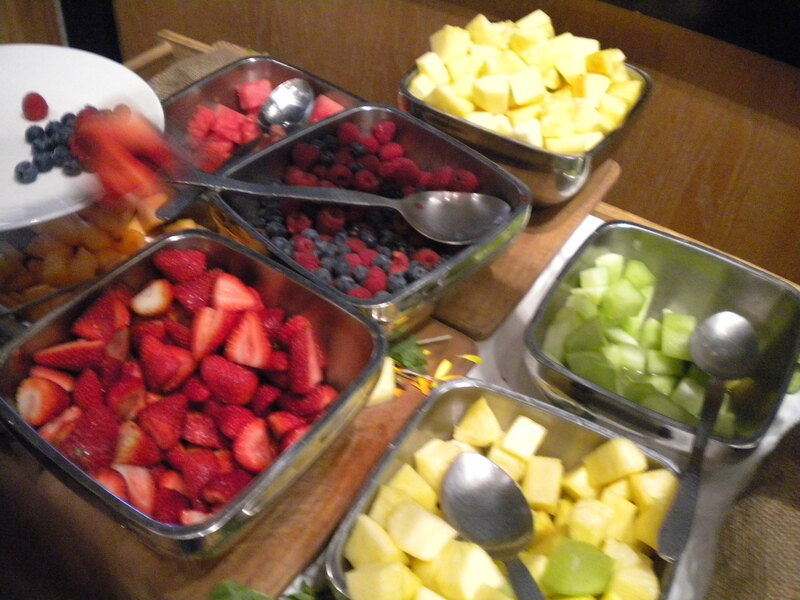 I also added blueberries, raspberries and blackberries to almost everything that I was eating. 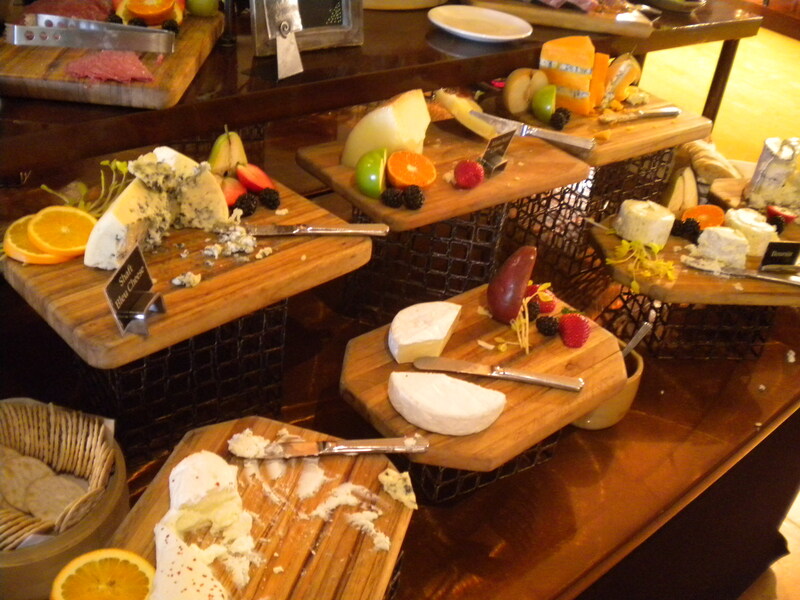 The cheeses, being my favorite, were numerous and top quality. It was hard to refrained from eating too much. 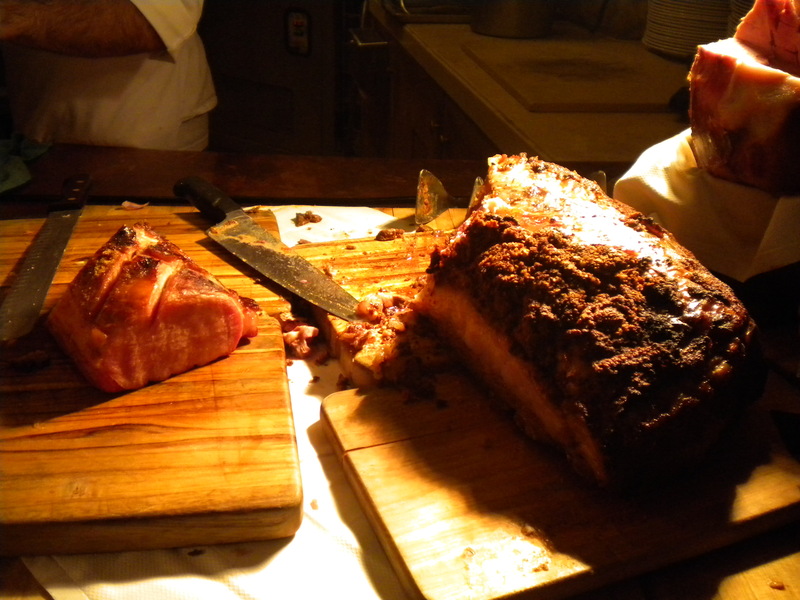 My friend commented that the prime rib was the best, even better than that of Lawry’s. 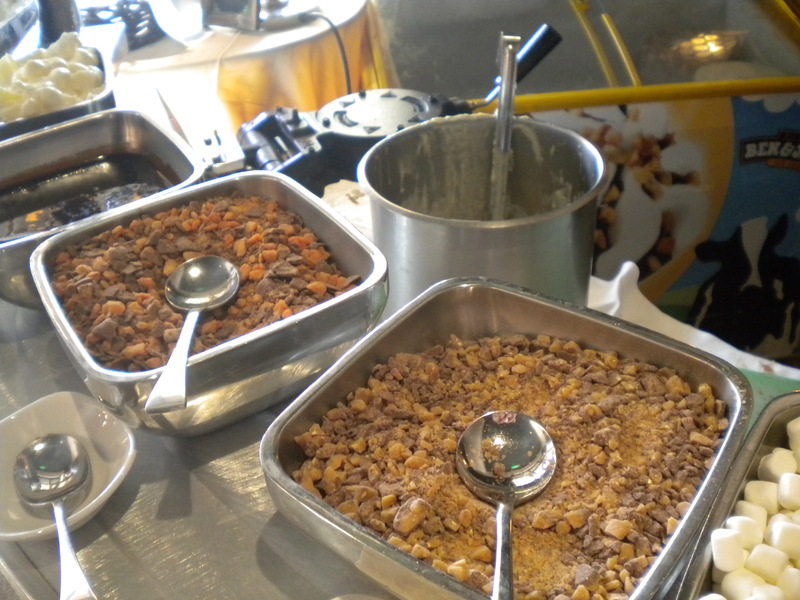 I feel that everything in the buffet was so good because of the quality of ingredients. 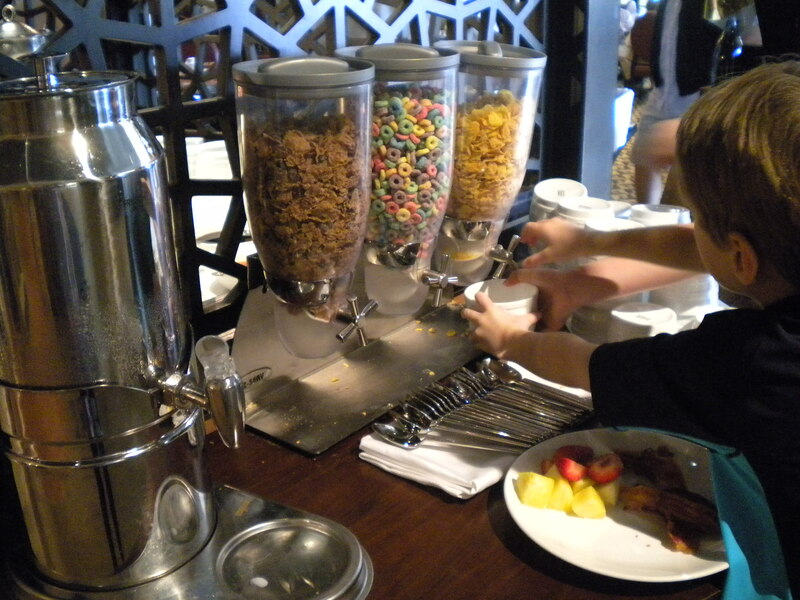 It was probably one of the best buffet ever. One must also go outside and walk around the luscious, beautiful garden after the meal for the most complete, awe-inspiring and memorable experience. I am looking forward to coming back again, hopefully I do not need to wait another year to do so. As any child who had spend part of the childhood growing up in Hong Kong, one of the more definitively and lingering memory would probably be going Yum cha, or “drink tea” with the family on the weekends, which really is the custom of going to a Chinese tea house to have Dim Sum – a style of food prepared as small bite-sized, served in steamer baskets or small plates, which includes a wide varieties of dumplings, buns, meats, steamed or fried, savory and sweet. Sunday was the official day off for my parents back then, so every Sunday morning was the beginning of my culinary adventure which more often than not, rotated between Dim Sum and Shanghai cuisine. “What kind of tea do you want?” was the standard greeting from the waiter, which then began the morning ritual. My dad would be the one who usually poured the tea for everyone, while teaching us to tap our fingers as a sign of appreciation. Char sui bao (barbequed pork bun), har gao (shrimp dumpling), siu mai (pork dumpling), glutinous rice wrapped with lotus leave, cheong fun (steamed rice roll), these were the dishes we always picked while sipping our hot Jasmine or Bo-Lei tea. Dim Sum, in my opinion, was the grandfather of this “small plates” movement that has become so popular these days. The affair with dim sum continued on most Sundays in Chinatown after we immigrated to San Francisco. There were never any shortage of good Dim Sum for me. 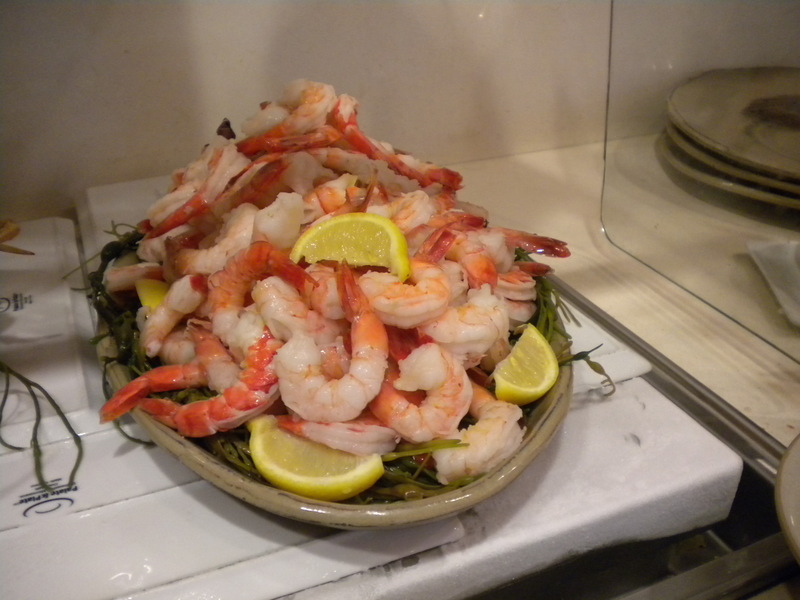 Located on the 2nd floor inside the Atlantic Square, Atlantic Seafood and Dim Sum Restaurant was only opened last year, so the space still felt fresh and clean. The restaurant is large, with glass chandeliers and separate dining areas. I like the fact that they employ the more traditional push carts instead of choosing from a list. One is able to see exactly what the dish look like before ordering. 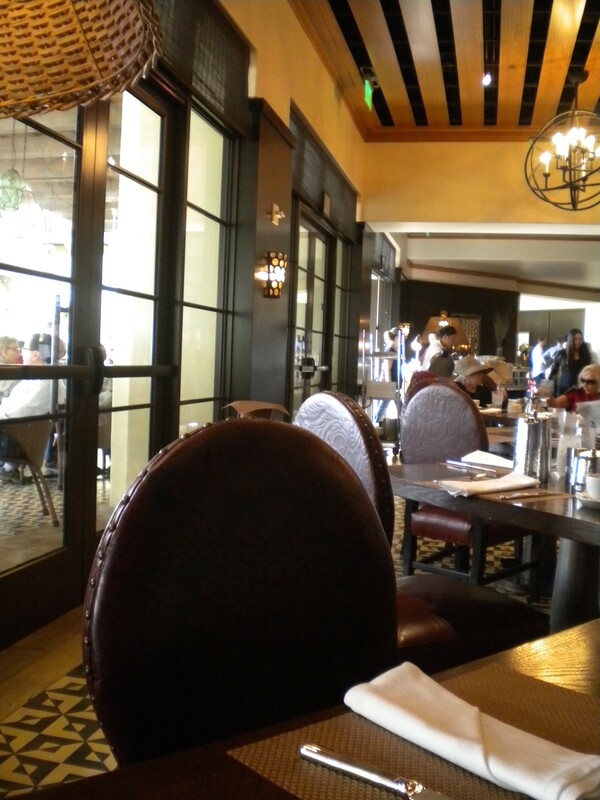 The service was efficient, with the waiters and busboys always around when I needed anything. The best part of the experience was in the unexpected and incredibly low prices of $1.58(on weekdays) and $1.88(on weekends) per dish. Having had tried a fair amount of dim sum throughout the years, I still get excited when I come across something new, something tasty. The one item that stood out was a sweet and savory bun that resembled a tall pineapple bun with a runny salted egg yoke custard filling. Imagine the sensation of hot, cold, sweet, savory, soft, flaky, crunchy all within a soft pastry with warm luscious golden filling. If one desires something other than the standard shrimp and beef cheong fun, there is a vegetarian version filled with mushrooms and chives, as well as the steamed pork ribs with small rice rolls. I asked if they offer Pig’s feet with ginger vinegar with egg(usually eaten after a mother has given birth), I was told they only have Braised pig’s feet. The pig’s feet, though not too meaty, had a rich flavor as well as very tender skin. The steamed Daikon cake came out piping hot with tiny bits of dried shrimp and Chinese sausage. I preferred the steamed version over the pan-fried. The Chinese broccoli was fresh but small in quantity, probably due to the low price. The Tofu skin roll was soft and moist with with pork, mushroom, and bamboo shoots. While there are other places that offer similar or lower prices, they are no where even near the quality of the food, service, and the comfort of this restaurant. I would go so far as to say that this might be the best deal one can get if one is in the mood for some good dim sum with “Good Old Day” prices.